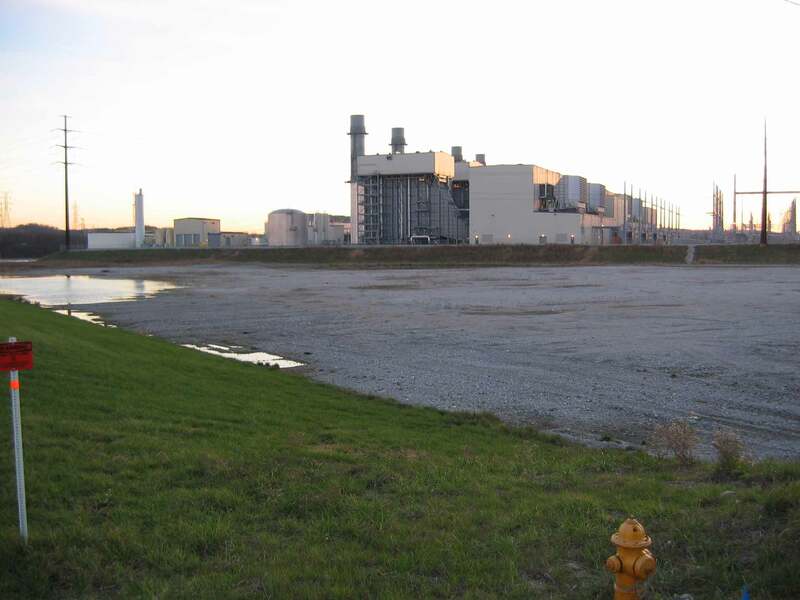 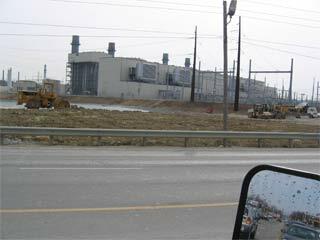 The PSEG Lawrenceburg power plant as of December 2004. 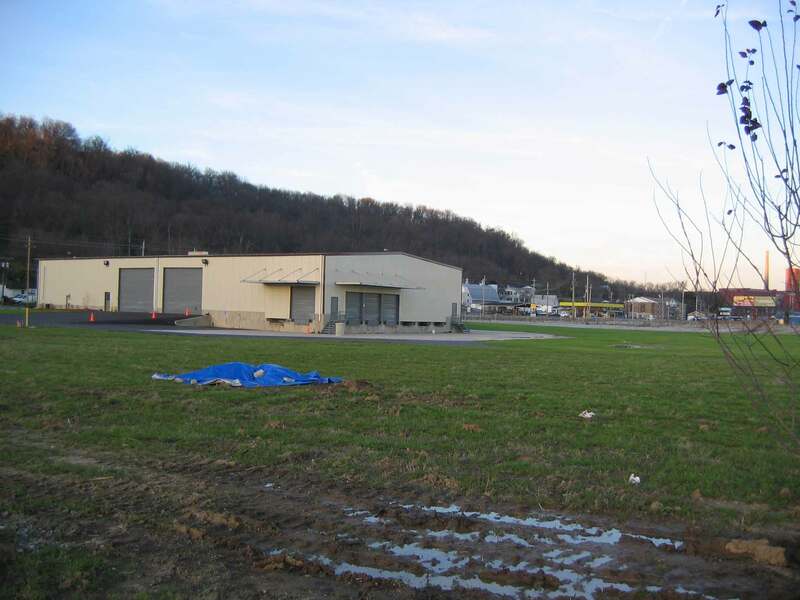 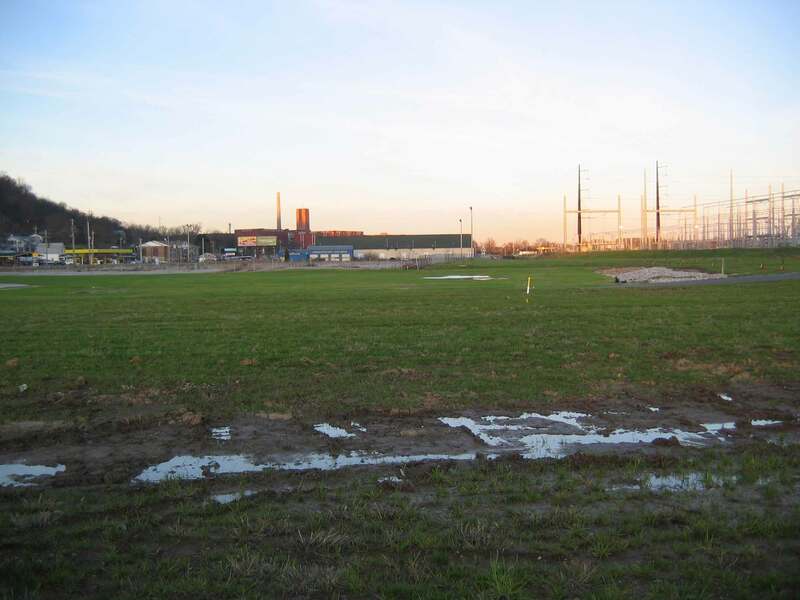 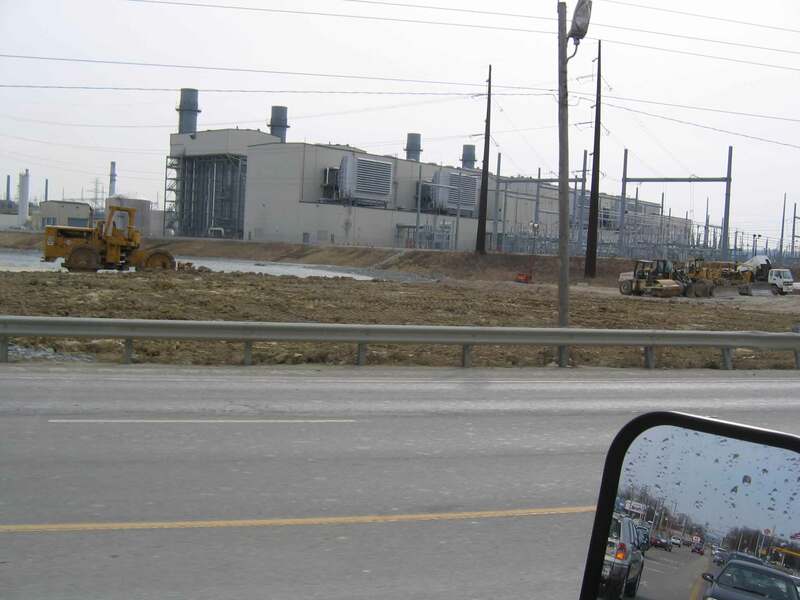 The power plant, looking across the parking lot and switchyard from US 50 (these pictures were taken in December 2004 long after the plant was completed and D/FD was gone). 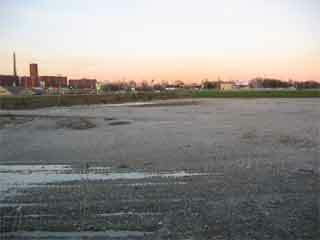 A closer look at the parking lot...actually not that much emptier than during my night shift. 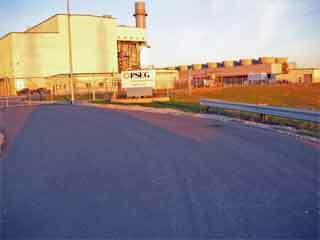 A distant view of the plant from the access road as one approaches from the west. 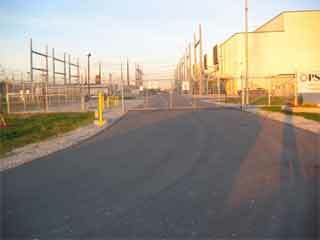 The end of the access road, at the gate. 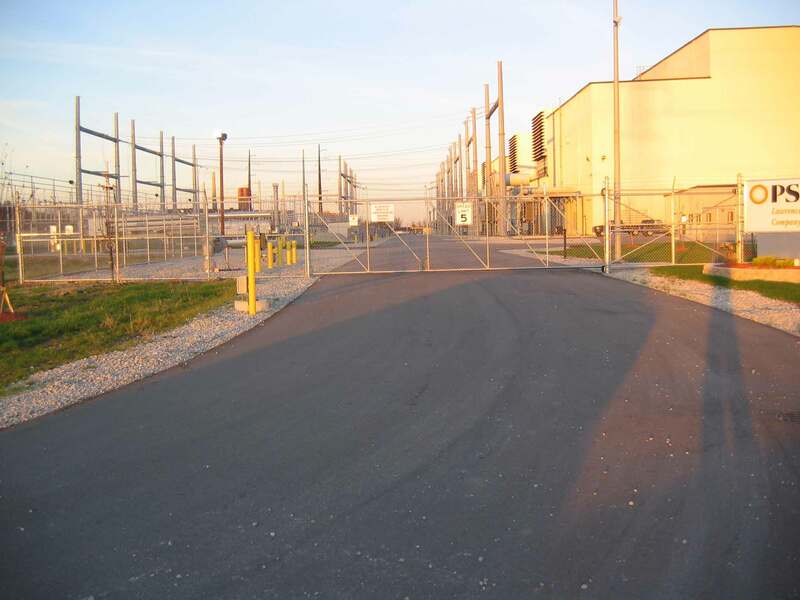 Another view in front of the gate, looking toward the cooling tower. 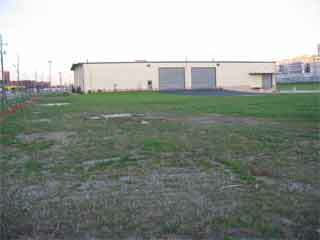 The warehouse, totally rehabbed and resided, here seen from the access road. 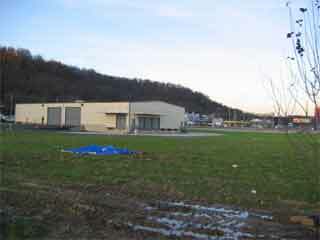 The warehouse as seen from closer to the highway. 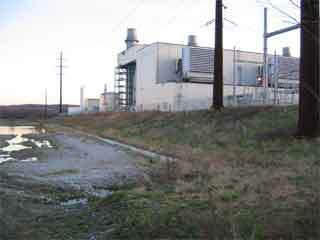 Looking at the east end of the turbine building, HRSG 4, and the shores of "Lake Cheney." 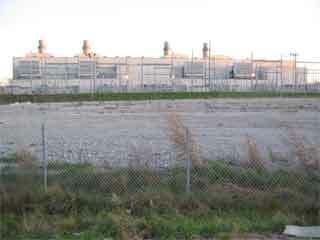 Another view of the plant across the former storage area. 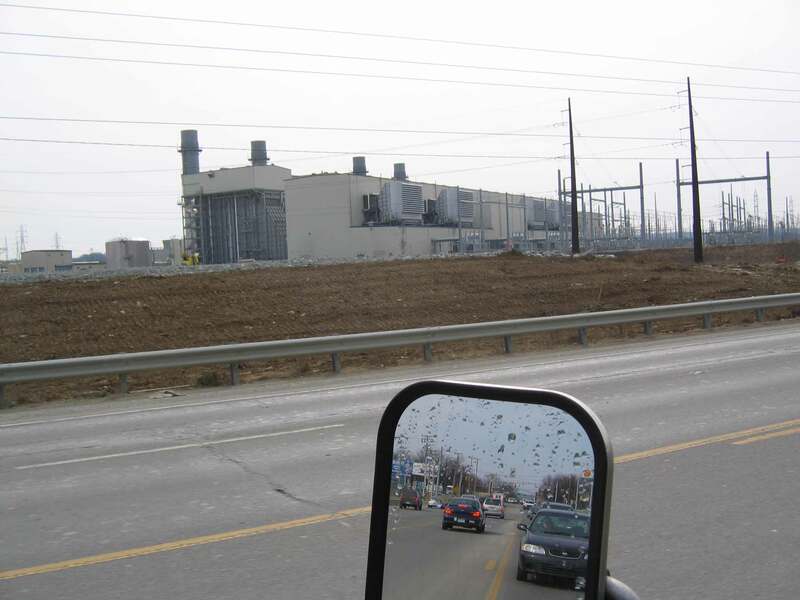 Looking east from the plant site across Lake Cheney towards downtown Lawrenceburg. 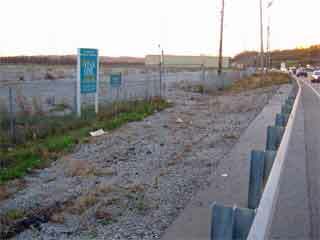 Another roadside view with a bit less activity. 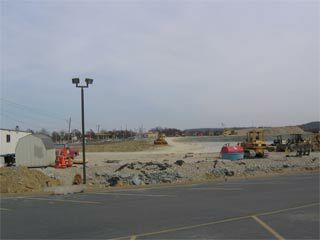 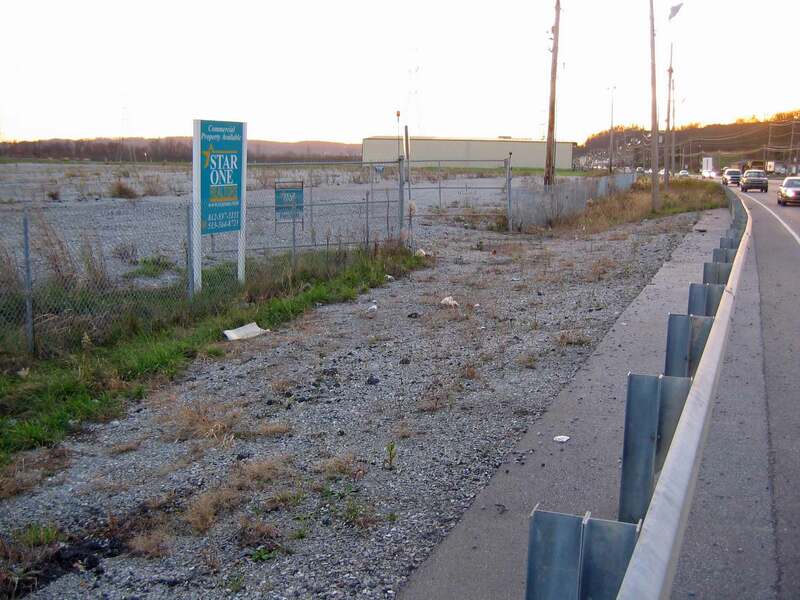 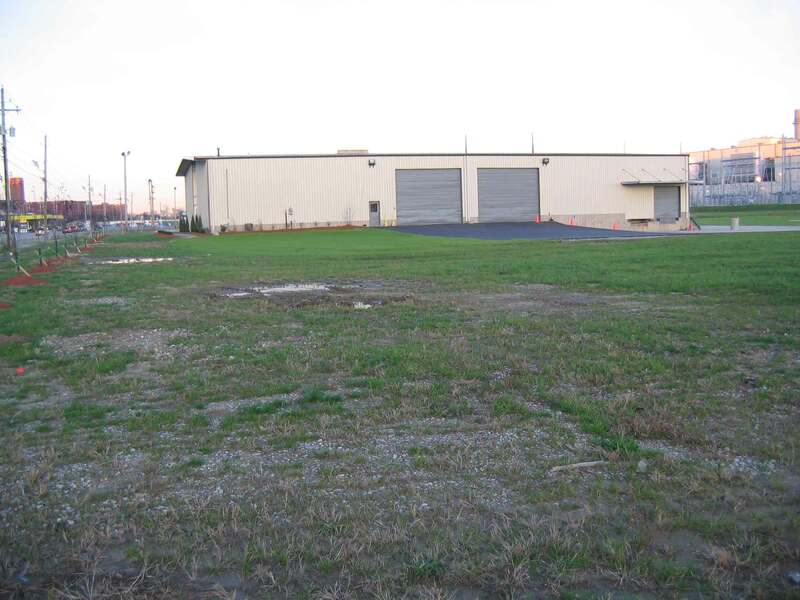 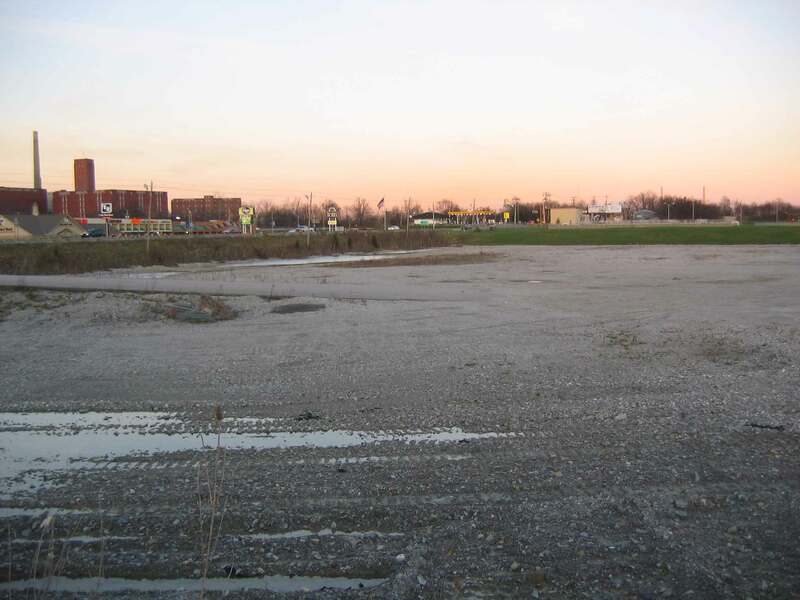 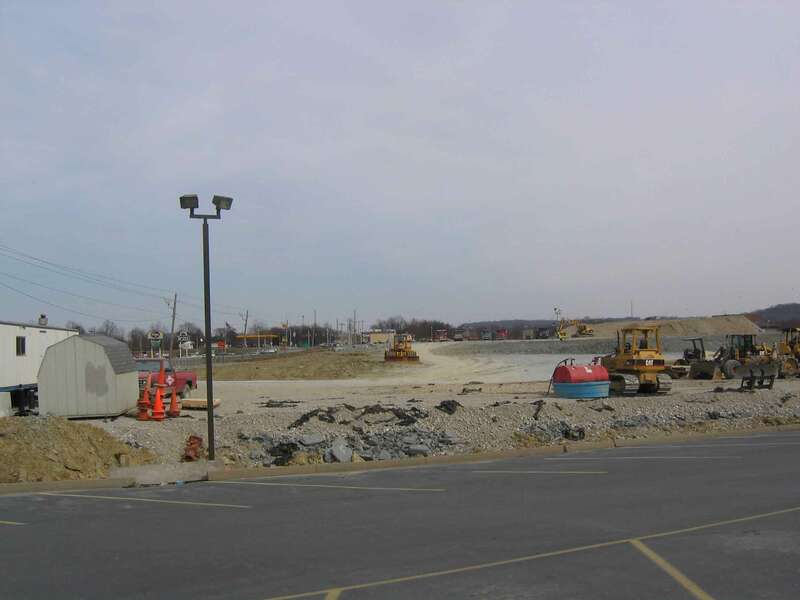 Looking toward the river from the strip mall parking lot...some as-yet unfilled area along the east plant boundary. 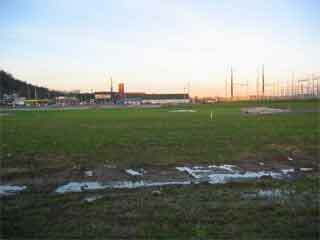 Looking east across the former "lake." 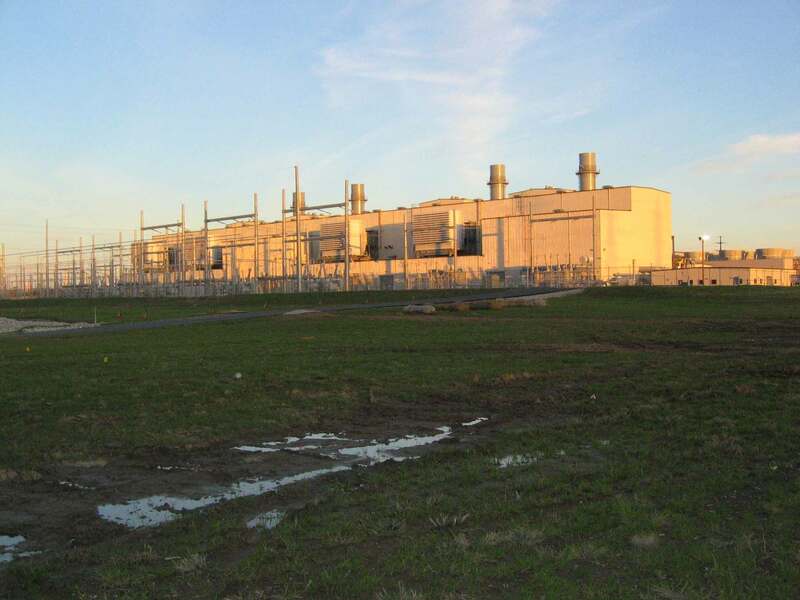 A couple of historical updates...first I must note that this was one of the last projects constructed under the Duke/Fluor Daniel alliance, which was dissolved in July 2003 (July 2003 Fluor press release). 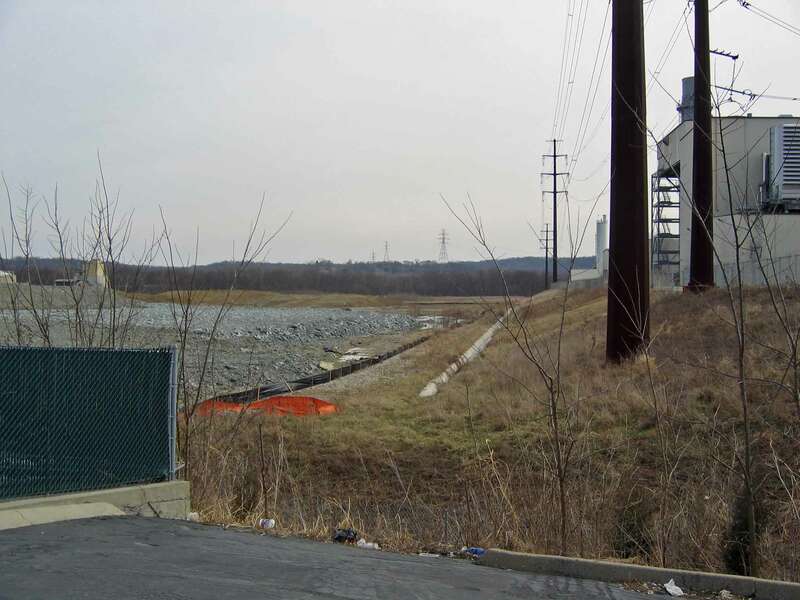 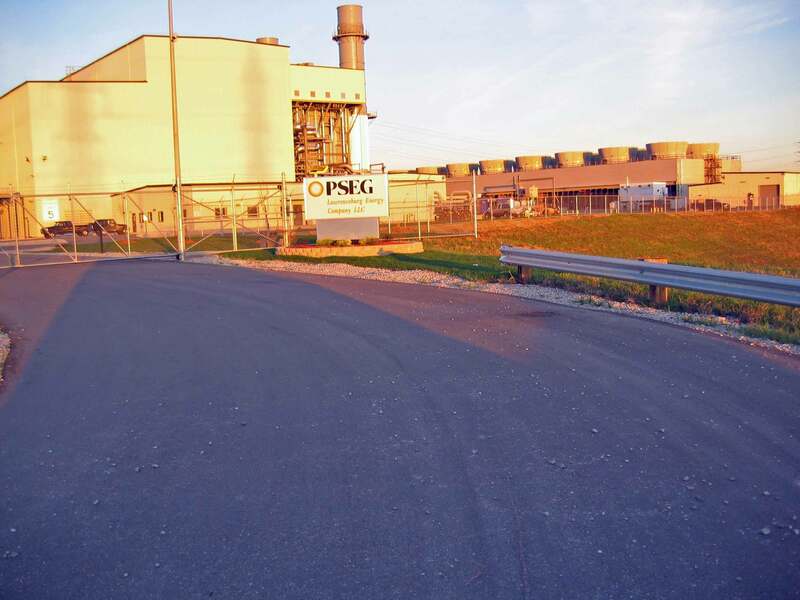 PSEG sold the plant to American Electric Power (AEP) in 2007 (2007 AEP press release). 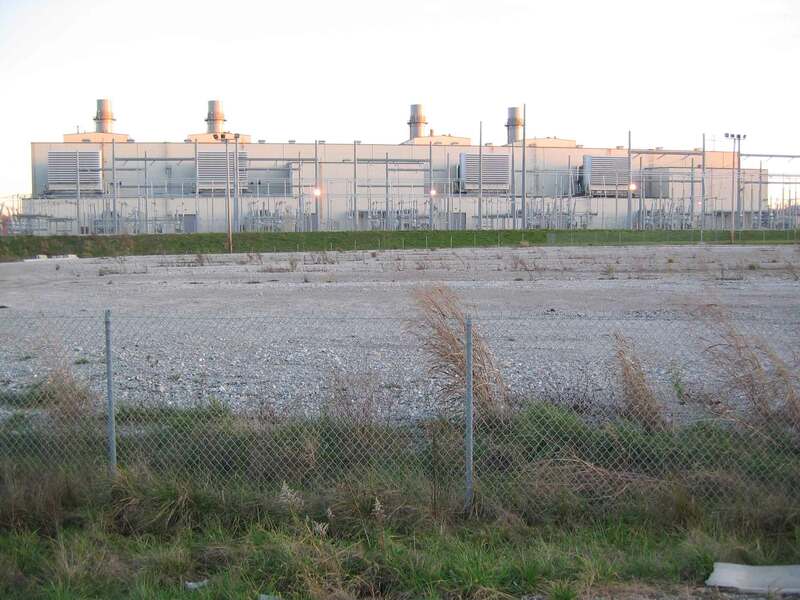 I'd worked there until the end of 2003, and it went on line commercially in June of 2004. And more recently, AEP was in the process of selling this plant, along with the one in Waterford and 2 others, to a new joint venture (2016 AEP press release). 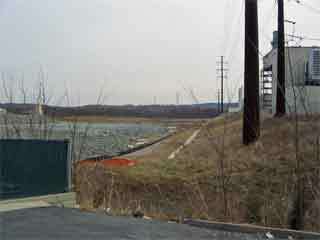 The American Polar Society meeting in Columbus, October 2003.